WHAT DID THEY THINK ABOUT COMMON SENSE? "...it has fretted some folks more than a little." Samuel Adams, a firebrand himself, recognized the shocking nature of Common Sense. When sharing the pamphlet, he asked friends not to be mad at him if they found it offensive. "I have Sent to Mrs Adams a Pamphlet which made its first Appearance a few days ago. It has fretted some folks here more than a little. I recommend it to your Perusal and wish you would borrow it of her. Don't be displeased with me if you find the Spirit of it totally repugnant with your Ideas of Government. Read it without Prejudice and give me your impartial Sentiments of it when you may be at Leisure." 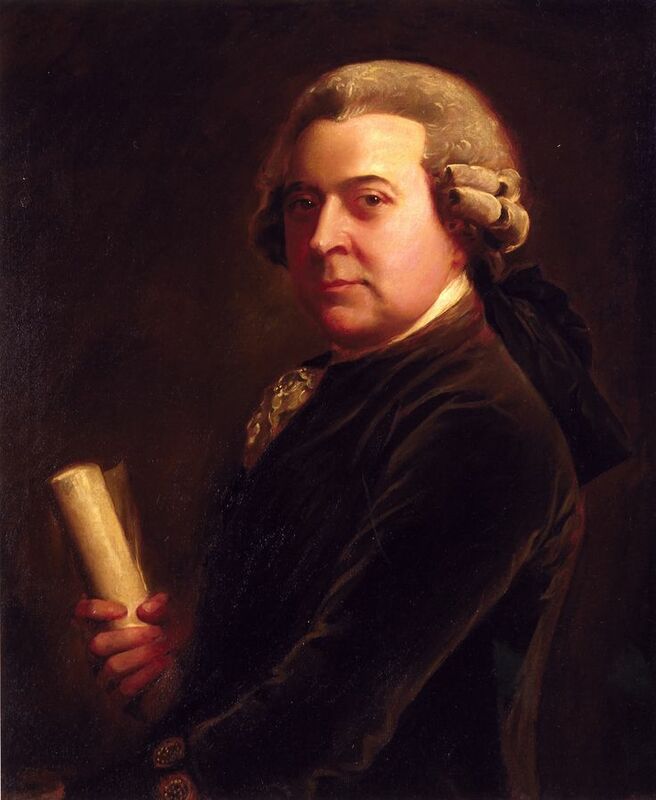 "I could not have written any Thing in so manly and striking a style..."
Many people thought John Adams was the anonymous writer behind Common Sense. A writer himself, Adams was both envious of Common Sense's popularity and critical of some of Paine's ideas. In response, Adams published his own pamphlet Thoughts on Government. Paine later showed up on Adams' doorstep to discuss their differences and they spent a lively evening in debate. "You ask, what is thought of Common sense. Sensible Men think there are some Whims, some Sophisms, some artfull Addresses to superstitious Notions, some keen attempts upon the Passions, in this Pamphlet. But all agree there is a great deal of good sense, delivered in a clear, simple, concise and nervous Style. His Sentiments of the Abilities of America, and of the Difficulty of a Reconciliation with G.B. are generally approved. But his Notions, and Plans of Continental Government are not much applauded. Indeed this Writer has a better Hand at pulling down than building. It has been very generally propagated through the Continent that I wrote this Pamphlet. But altho I could not have written any Thing in so manly and striking a style, I flatter myself I should have made a more respectable Figure as an Architect, if I had undertaken such a Work. 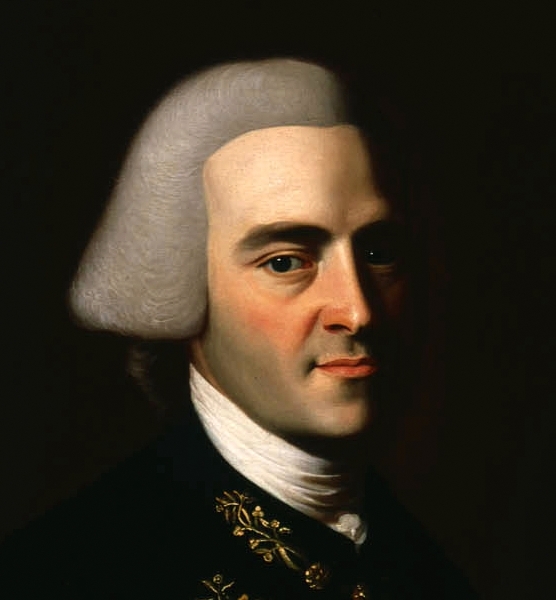 This Writer seems to have very inadequate Ideas of what is proper and necessary to be done, in order to form Constitutions for single Colonies, as well as a great Model of Union for the whole." "I am charmed with the Sentiments of Common Sense..."
"I am charmed with the Sentiments of Common Sense; and wonder how an honest Heart, one who wishes the welfare of their country, and the happiness of posterity can hesitate one moment at adopting them; I want to know how those Sentiments are received in Congress? I dare say their would be no difficulty in procuring a vote and instructions from all the Assemblies in New England for independancy. I most sincerely wish that now in the Lucky Minuet it might be done." "...a Pamphlet that has made great Impression here." Benjamin Franklin first met Thomas Paine in London. They formed a friendship and Franklin became a mentor to the idealistic Paine. Paine expected to "surprise" Franklin with Common Sense. It's safe to say he surprised more than just Franklin, who warned a friend across the Atlantic about the sassy style of Common Sense, "This rude way of writing in America will seem very strong on your side." "The Bearer, Mr. Paine, has requested a Line of Introduction to you, which I give the more willingly, as I know his sentiments are not very different from yours. He is the reputed, and I think the real Author of Common Sense, a Pamphlet that has made great Impression here. " "a pamphlet which makes much Talk here..."
At first, John Hancock didn't think much of Common Sense. He passed it on to a friend as an "amusement." Six months later, as president of the Continental Congress, Hancock signed the Declaration of Independence alone. (It was common for only the president to sign official documents of the Continental Congress). His signature would courageously remain alone on this treasonous Declaration for almost a month. "I inclose you a pamphlet which makes much Talk here, said to be wrote by an English Gentleman Resident here by the name of Paine, I believe him the Author, I Send it for your and Friend's Amusement."